Three months ago, I learned to dowse. And I’m in love with the tool! Back in July, Susan Gash assisted me with my Vilcabamba Retreat. During the week, when we discussed things behind-the-scenes, she would pull out her pendulum and dowsing chart and ask questions—to what percentage has this participant cleared his process? Or, to what degree will this participant be able to hold onto her processing progress once she returns home? It seemed an amazing tool for helping people. Shortly thereafter, I asked Susan to teach me to dowse and, as I am psychic, it came quite naturally. Thus began a two-week immersion in dowsing where I worked for several hours every night, asking questions, researching issues. I was captivated. It was so effortless to get answers. Of course, dowsing is no different than psychic perception. You must be completely neutral and free from emotion for it to work. If you hope for a certain answer or fear a certain answer, you can easily manipulate the outcome. As we were heading into the September equinox and lunar eclipse at that time, I used dowsing to monitor my spiritual progress so I could stay perfectly in tune with Mother Earth’s ascension levels. Every night I measured the Schumann Resonance of the earth here in Vilcabamba Ecuador where I live, then my own internal Schumann Resonance in hertz. If my resonance didn’t match that of the Earth, I raised it using dowsing and made a point to spend more time walking barefoot on the grass. In this way, I optimized my access to the waves of Ascension during that window. 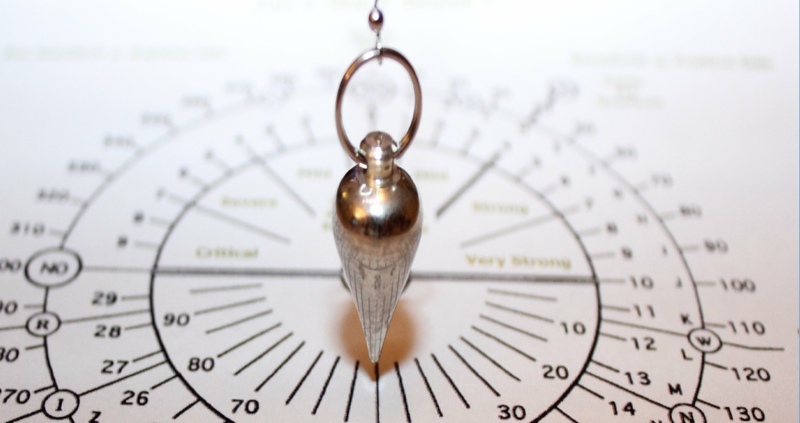 Dowsing allowed me to clock the lowest spiritual vibration on the planet: 200. As well as the highest (someone in Tibet): 4,580. And not only to see where I was at in relationship, but to know how far I might push the envelop. Working with the Ascension energies this past September allowed me to boost my spiritual vibration by 1,200 points! I’m happy to live with that last remaining cause of fatigue. Now I rest 45 minutes in the afternoon and spend the rest of the day doing productive work. And the list goes on and on: Curing a mange infection for my new puppy, helping a friend raise his spiritual vibration by 2,000 points and change his life… You get the picture. So I am keen to recommend that those interested in optimizing their Ascension learn dowsing. My only hesitation has been: If someone hasn’t developed their psychic skills, can dowsing get them into trouble? If someone is on a spiritual path, but they have not yet fully opened their 3rd eye, what would be the overall average of correct answers they would receive from dowsing. 40-70%. That’s good enough for me. I highly recommend you learn to dowse.